Brooding, a type of rumination, and subjective social status (SSS) may be two interacting factors for cardiovascular disease (CVD). Our goal was to examine the relations of brooding and SSS with systolic blood pressure (SBP) and diastolic blood pressure (DBP), two measures of CVD. We predicted that  brooding and SSS are each related to SBP and DBP and  the interaction of brooding and SSS is linked to SBP and DBP. In this cross-sectional study, college student participants (n = 240; 58.6% female, age: M = 23.95 years, SD = 8.62) completed demographics questionnaires, the Ruminative Response Scale, and MacArthur Subjective Social Status scale, and gave blood pressure samples. Linear models suggested that, for participants low in SSS, high brooding and DBP were positively related. For participants high in SSS, high brooding and low DBP were negatively related. There were no relations between SSS, brooding, and SBP. As predicted, for individuals with low SSS, more brooding was associated with higher DBP. Yet, in individuals with high SSS, more brooding was associated with lower DBP. There was no relation between SSS, brooding, and SBP. Our results suggest that brooding may serve as diathesis for some symptoms of CVD (i.e., high DBP but not high SBP) in individuals with low SSS. We discuss how other factors, like burnout or defensive pessimism, may contribute to the relation between high SSS, high brooding, and low DBP. This study did not receive outside funding. Informed consent was obtained from all participants in this study. Adler N, Stewart J. MacArthur SES & Health Network. 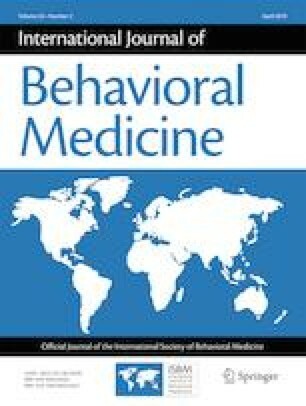 2018. http://www.macses.ucsf.edu/Research/Psychosocial/subjective.php. Accessed March 1, 2018.